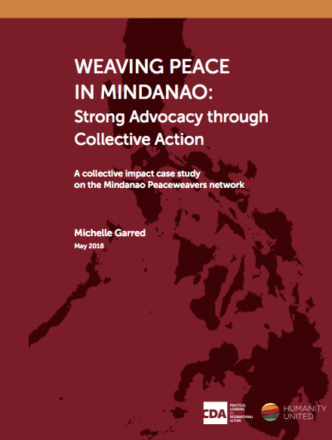 This case study details the work of Mindanao Peaceweavers (MPW) – a “network of networks” of peace advocates in the southern Philippines. 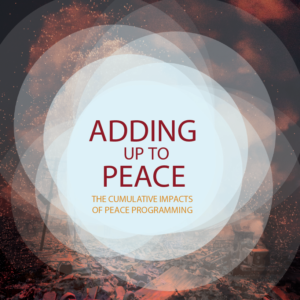 As a way to test CDA’s “Framework for Collective Impact in Peacebuilding”, this case study draws on MPW’s experience advocating for peace over the past 15 years. 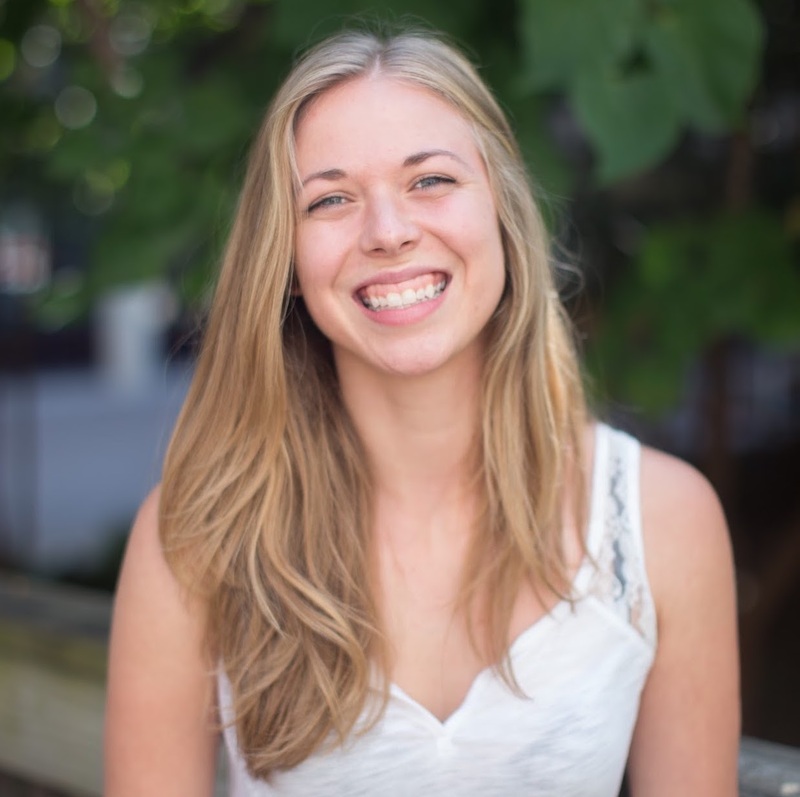 MPW is structured around four secretariats, eight convener networks, and three newer member organizations – all of whom are unified across lines of identity-based conflict. 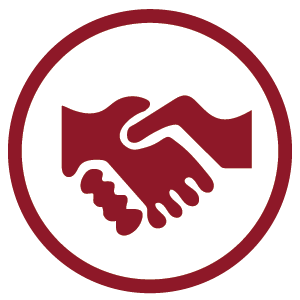 In the Philippines, the MPW network has earned the respect of conflict parties and contributed to the recognition of civil society as a third party in peace processes. Their success is attributed to multiple factors, some of which are the process of dialogue and listening, the ethos of inclusivity and long-term commitment, and visionary approaches to advocacy. Moral imagination: Rather than technical factors, MPW’s successes arose from attention to relationships, solidarity, cultural creativity, and sense of the transcendent. Multi-tier networks: MPW is a network of networks, which holds unique challenges and successes.